Komorebi is an open-source desktop wallpaper manager and creator software for linux system. 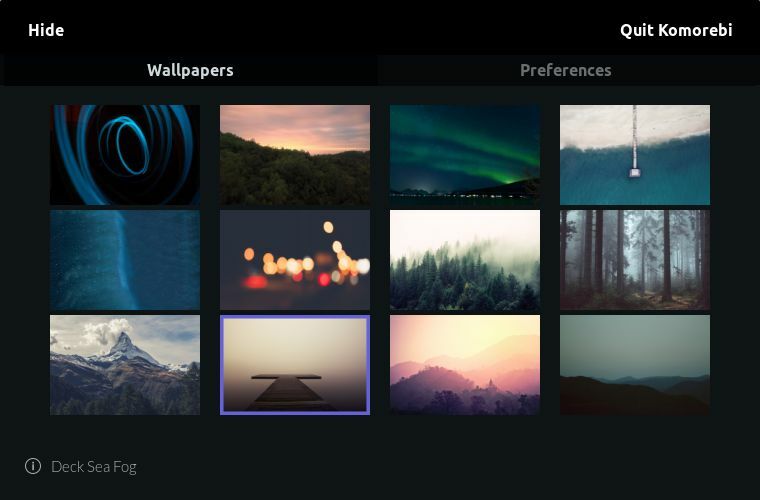 Using this you can set fully customizeable image and video wallpapers in your linux system. By default it comes with some beautiful parallax-effect and video wallpapers. You can also add time and date information in your wallpaper.You can also create image or a video wallpaper with some options to customize it. 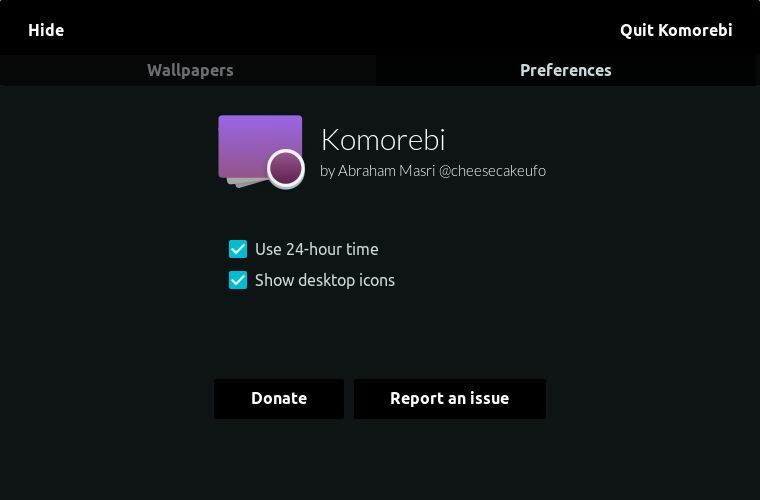 To install the latest Komorebi wallpaper app on ubuntu, go to the Komorebi download page and download the latest Komorebi app in .deb file format. Double click or Right click on the downloaded file and install with Ubuntu software or any other ubuntu package installer. After the successful installation of Komorebi wallpaper manager and creator restart your ubuntu computer. Click the Dash home from unity launcher. And type Komorebi in the search field. Then click Komorebi to open Komorebi wallpaper manager and click Komorebi creator to open Komorebi wallpaper creator. 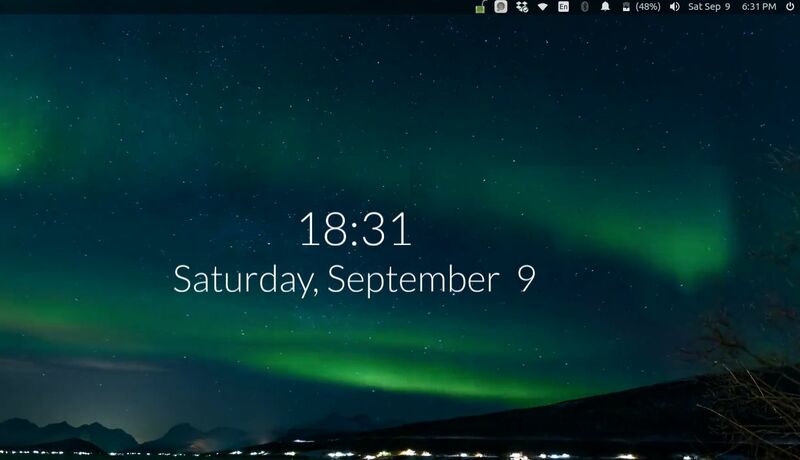 To change your current wallpaper and the desktop preferences, right click on the desktop to show the Komorebi menu. To quit this app and return to your usual desktop press Alt + F2 and enter the below command. If you want to uninstall Komorebi wallpaper app, just open the terminal and run the below command. After uninstalling this app and desktop isn’t working properly like blank with no icons or disabled right click, just type and hit enter the below command and restart your computer.